FKuR Kunststoff GmbH has launched a new polypropylene (PP) compound, Terralene PP 2509, that is partially based on renewable resources and optimized for injection molding applications. It is the first PP compound in the Terralene portfolio which, to date, was limited to partially or fully bio-based polyethylene (PE) compounds. 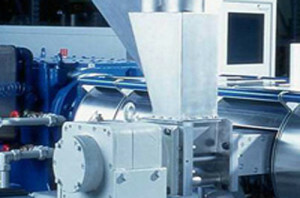 The processing and application characteristics of this material can be entirely compared to those of PP based on fossil materials, according to the company. Terralene PP 2509 is based on 35% of renewable resources. This part (bio-based carbon content) can be verified with the help of the C-14 method according to ASTM D 6866. With a MFR230/<sub>2,16</sub> of 42-47g/10 min, Terralene PP 2509 offers a high flowability which is necessary e.g. for the production of complex components and products with long flow paths. The series of FKuR Terralene grades which continue to be commercially available are based on the bio-based, I’m Green PE from Braskem and comprises compounds for injection molding, extrusion blow molding and film extrusion.